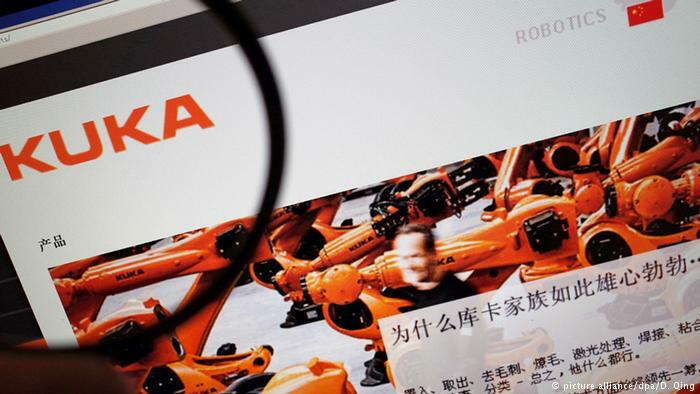 Chinese appliance giant Midea secured a stake of more than 90 percent in the German industrial robotics supplier Kuka. When looking to acquire stakes in German companies, Chinese investors more often than not act in line with their government's economic agenda, a survey published by the Bertelsmann Foundation shows. Reflecting Beijing's strategic ambitions of becoming the global leader in a number of key industries, Chinese investors are found to predominantly target German firms which have a lot of technological know-how in the very key sectors that are explicitly mentioned in the Chinese government's strategic program called "Made in China 2015," Deutsche Welle reports. The author of the study, Cora Jungbluth, said it was Beijing's explicit policy to turn the world's second-largest economy from a mere workshop into a global technology leader, with "the acquisition of stakes or complete takeovers of foreign firms being part and parcel of that strategy." The analysis of 175 Chinese investments in German companies between 2014 and 2017 revealed that in two-thirds of all cases stakes were secured in the very key industrial sectors that Beijing said it wanted to boost over the next couple of years. Most investments were made in German companies offering fuel-saving technology and alternative transmission know-how for the auto industry. Other areas attracting large investments included robotics, energy systems and biomedicine, the study showed. Formally, most of the Chinese companies buying into German firms were in private hands. But the Bertelsmann Foundation's Cora Jungbluth said it was unclear to what extent private entrepreneurs were instructed or guided by Beijing in their foreign acquisitions. The survey concluded that Chinese takeovers had so far shown the buyers' long-term interest in their new assets, but added that there was no level playing field with regard to investments as German and foreign companies in general were still largely barred from investing in key industries in China.